HomeDark Souls Theory: Seath the Puppet Master of Anor Londo? Firstly, would Gwyn have really left Gwyndolin in charge of his capital? There are no statues of Gwyndolin and nor is there anything to suggest that Gwyn valued him. We know that Gwyndolin was always trying to please his father so we can assume that Gwyn looked down upon him because of his feminine nature. He is not a great warrior like his father and older brother and nor does he inspire awe or trust like his sister. He was, for all intents and purposes, an outcast hidden away in the shadows. Would Gwyn really leave his city to an unproven pariah? Gwyn seems to respect strength and prowess and Seath certainly proved himself by betraying the dragons and fighting against them. He was made a Duke for his services. Would steward be too large a step up after Gwyn’s departure. The fact that he was a duke shows he had Gwyn’s respect and his land consisted of the Duke’s Archives, either within Anor Londo or at its border. A duke could easily fill the role of the lord if the need arose. Plus let’s not forget that Gwyn did not pass on any fragments of the Lord Soul that we know of to his children. Instead he gave them to Seath and the Four Kings. My next point revolves around Gwyndolin’s power. As stated above, Gwyndolin is no warrior yet wanted the respect of his war-hero father. From this we can assume that Gwyndolin learned the magic that we see him use in order to prove himself. Where would he have learnt this magic though. Seath is the “Grandfather of sorcery” and was likely the one who taught Gwyndolin the art as he is both powerful and respected within the kingdom. This means that everything Gwyndolin can do, Seath can likely do too. Why is this fact important? Well, something that I had always wondered about was why the illusion of Gwynevere and Anor Londo do not fade if you kill Gwyndolin. 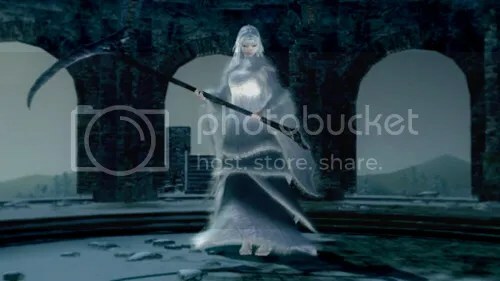 Some people believe that the Gwyndolin you fight is nothing but another illusion and that sits okay with me but the illusions could also be Seath’s doing. Why would he do that? I’m not sure. All I am saying is that it is within his power and this point will become relevant in a moment. With that in mind, let’s take a look at Gwyndolin himself. He is described as having a “repulsive, frail appearance” and we see him as a feminine being with a mass of snakes instead of legs. Let’s be honest though, people are not just born with snake legs. It doesn’t make sense at all. If it was just regular tentacles you could put it down to deformity but living snakes isn’t biologically possible. Also, yes the game is fantasy but most of the creatures have explanations. The daughters of chaos are half spiders but that is explained. Gwyndolin isn’t. I believe that his repulsive looks reference the simple fact that he is an androgynous being or hermaphrodite. To us, this is a little strange but is widely accepted. In a medieval setting, to blur the lines between male and female would have been something that disgusted the masses. Snakes at least present an image of cunning and power but the dual-gender aspects represent nothing but abnormality and weakness. Again, some say that the snakes could be another illusion to provoke fear but it doesn’t seem a big enough effort for that. Why keep the frail appearance and feminine frame if his intention was to intimidate? Let’s take this a step further. How else could Gwyndolin possess snakes for limbs or use them as a part of his image? Well, Seath is known for experimentation. Seath himself does not have legs, instead having three tails. 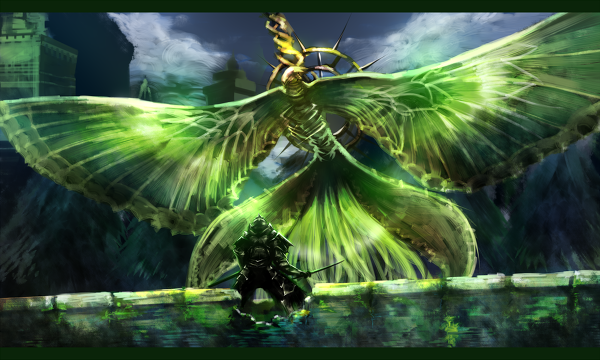 He created the Pisaca who are snakelike creatures who were once human, and the Moonlight Butterflies, (let’s not forget either that Gwyndolin’s armour is called the ‘Moonlight Set’), who share the same boss music to Gwyndolin. Are these coincidences? They could be, but there would be a lot of them if so. Moonlight Butterfly. It shares its name with Gwyndolin’s armour and his similar design elements. On that note, bear with me while I explain something that I have never understood until I linked it to Seath: Sen’s Fortress. It is described as “an old proving grounds built by the ancient gods” but it has never really fit with the rest of the game. It is inhabited by Serpent Soldiers who are never explained or given an origin of any kind. They, like Seath, are a throwback to FromSoftware’s previous game series but have no real stated lore within Dark Souls. But wait, the Serpents are not only wondering the Fortress but are also in the Duke’s Archives guarding the prison and the Pisaca. Does this mean that Seath also created the Serpents or simply used them for his own plans. 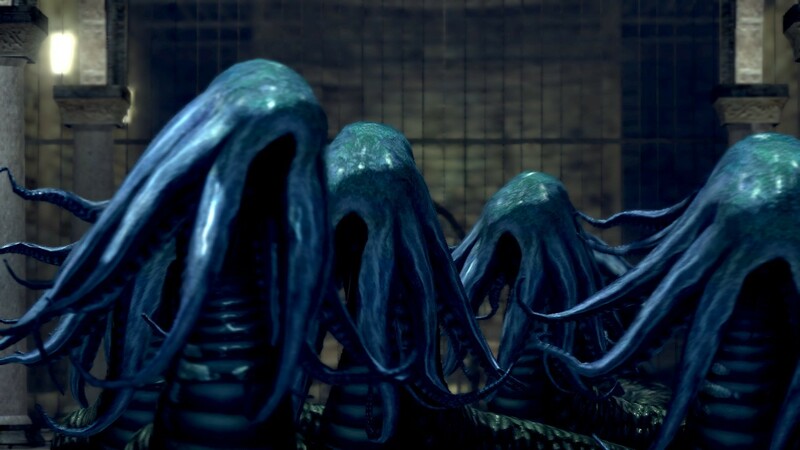 There are also the Hydras that can be said to be snake like, both of which are in places related to Seath. Either way, we are left with yet more links between snakes and Seath. Then there is the theme of eyes and sight. Seath is described as being blind and uses his Channelers as his eyes. Their six eyed helmets are said to make up for their master’s lack of vision but you cannot see the wearer’s actual eyes. Gwyndolin also wears a helmet that obscures his eyes and boosts magic. It could be a gift from Seath. Tenuous I know But interesting since there are no noticeable eye-holes and it improves that which Seath is the master of. So I’ve explained the connections between Gwyndolin and Seath but I haven’t really touched on the why. I said somewhere above that I don’t have any real idea what his goals could be but there are some recurring themes that could offer suggestions to his intentions. What is the fan-favourite theory about Seath? That Priscilla the Crossbreed is Seath’s child. This makes sense as she is half dragon and has white fur and scales. For those who say she can’t be as she has scales, you clearly don’t understand genetics. Seath is a dragon, scales are in his DNA, they just didn’t manifest themselves. This would be like a human being born unable to grow hair, their child has a chance to inherit that trait but could be born perfectly. Most people assume that the mother is Gwynevere, making Priscilla half god. I have a slight problem with this though in that a physical relationship between Gwynevere and Seath seems unlikely and impractical at best. Remember that both Gwyndolin and Gwyn are not giant sized and that the Gwynevere we see is nothing but an illusion. If the gods at their full power are bigger than human such as Super Ornstien/Smough or Priscilla, that still is not Seath size. Plus cross species mating very rarely produces children. Again, while not impossible, it just seems unlikely to me. We know Seath experiments and created life so I believe Priscilla to be the results of an experiment combining Seath’s and a god’s DNA. What god, according to my logic, does Seath have access to? Gwyndolin. Think about it, Gwyndolin is also very pale, near to being an albino. His hair is almost white, he wears white and has pale skin. We never see his eyes so I could not say one way or the other but he certainly shares many properties with both Seath and Priscilla. It could be because of his ‘affinity with the moon’ or his constant lurking in the shadows but I thought that I would throw it out there. It’s also worth noting that Priscilla resides on a moonlit tower, perhaps tying her own affinity with the moon. I want to focus on Seath himself for a moment. The consensus is that he went crazy during his search for immortality. I may be wrong here but I do not recall any items actually stating that Seath has lost his mind. Correct me if I’m wrong here. He might be insane in the sense that he obsesses over immortality and has no morals at all but I feel that he still retains his intelligence. His Crystal Golems still wander the world and capture test subjects for him and the archives still function. If he had completely lost his mind then I would have thought that his entire network would have begun to unravel yet we see him as having the furthest reaching web of minions in the game. It all speaks of a grand plan and nothing suggests a disruption of that. Seath’s obsession is with immortality. He researches the creation of stone scales and presumably discovered the crystals that cover his body. With the Primordial Crystal he was able to achieve immortality but he was still nothing but a deformed dragon. He had no legs to walk freely, thin wings that struggle to fly, poor eyesight and albino skin. These are all constant reminders of his weakness and his past and are all things that prevent him from belonging in the world. He is the last true dragon yet is nothing but a twisted parody of his kin. Seath has no legs or scales and can barely fly or see. Anyone who strives for eternal life would want to live better than that. He experiments on humans/humanoids and creates new creatures. Why would he do this? Humans have nothing to do with scales and are certainly not immortal and so should have little to do with Seath’s driving motivations. A genuine question to the community: are the gods immortal in the sense that they will not die of ageing? If the answer is yes then this could explain everything. 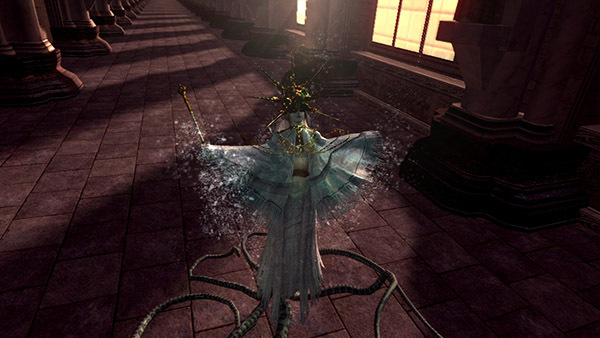 Seath practices on humans to learn what he can from lesser beings, then experiments with gods, resulting in Gwyndolin’s altered appearance and the Crossbreed Priscilla. If he can unlock the essence of the gods then he could unlock the secrets he seeks. Human experimentations that resemble both reptiles and Seath’s tentacle deformities. I am going to go out on a limb here: Seath wanted to be a human/god. ‘That’s a big assumption’ I hear you shout disbelievingly at the screen. This is true but think about it. He experiments with the human form for seemingly no reason. Another thing that could support this is in his presence in Darkroot Basin. He has a large force here yet there is nothing special about this area barring its history as a part of the lost land of Oolacile. There are only three defining aspects of Oolacile: its sorceries, the Abyss and the primeval human, Manus. The sorcery is all healing or non-offensive in nature and probably has its roots in Seath’s own teachings. No spell described seems worth going out of the way to get. The Abyss could be a potential source of power but why Oolacile when there is New Londo? It could be to avoid the Four Kings I think that if Seath had an interest in the Abyss then Kaath would have already set things in motion to spread the taint to Seath’s lands. This leaves Manus, the being that the citizens of Oolacile dug up only to anger and invoke the Abyss. This makes sense as the Broken Pendant, which is the item that Manus longs to find, is in Seath’s possession in the Duke’s archives. If we follow the belief that Manus is the Furtive Pygmy and that he broke the Dark Soul to create Humanity, then we can guess that perhaps Seath seeks to create his own Humanity to give himself a soul. If Seath could create the perfect body, give it a powerful soul and then magically port his essence into this new body then he would no longer be a deformed relic of a bygone age. This would fit beautifully into the Dark Souls story too as it stands in ironic contrast to Logan’s quest to become like Seath. So that about sums my theory up. I’ve discussed a lot, more than I ever intended, and hopefully the community will have a lot to say on it. Again, none of this has any evidence in the game but nothing to my knowledge definitively proves otherwise either. All that I have said follows my knowledge of the game and the logic that I personally can apply to it. It all makes sense and will hopefully spark people to take a fresh look at the beautiful game that is Dark Souls. Thank you for your time. Leave your thoughts in the comments. Sayonara. If you like what you read then feel free to follow me on Twitter @matthewroys or check out my stories or non-gaming articles at matthewroys.ninja.